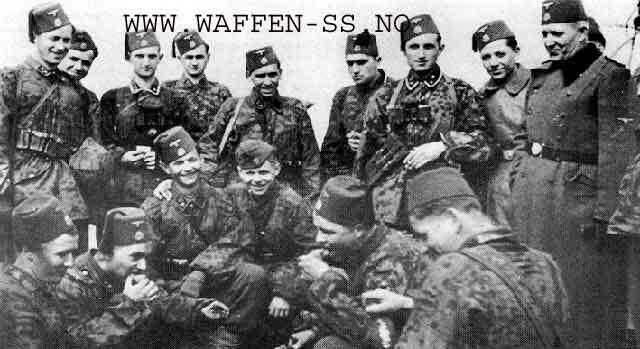 WWW.WAFFEN-SS.NO "13.SS-Waffen-Gebirgs-Division der SS "Handschar" (Croat No. 1) "
Surrendered to the British on May 7th, 1945. They were later handed over to the Russians. division's men would be Catholic Croatian as well). stepping stone to this greater end. Buy the Collar tabs here! sword - the Scimitar. This sword has historically been the symbol of Bosnia. 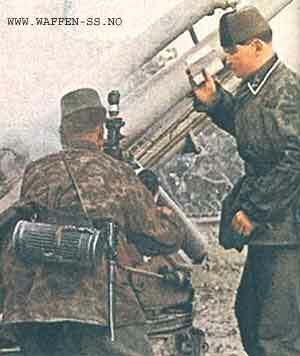 1943 till August 1, 1943) was SS Standartenfuhrer Herbert von Obwurzer. 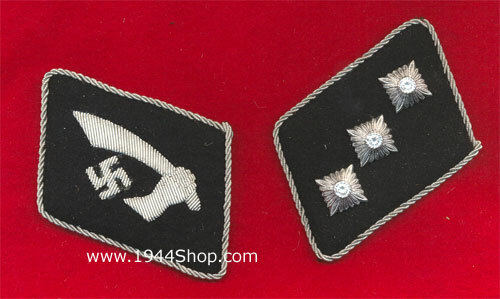 period of training, that the division became the only SS Division to mutiny. helped to quash it. 14 soldiers were executed as mutineers. fully, but rather parrot one another without proper research. Men of the "Handschar" won 5 Knight's Crosses, 5 Crosses in Gold, and 1 Cross in Silver.